Rock out in comfort with back support. This extra-wide motorcycle-style seat features a Cordura top with wrapped vinyl around the sides and bottom of the seat. 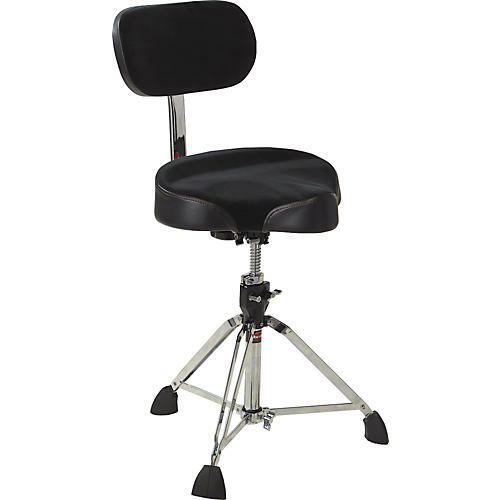 Drum throne comes with a supportive backrest. Get through the gig pain-free. Order today.